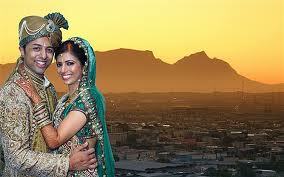 On the 13th of November 2010, a British couple of Indian descent – Shrien and Anni Dewani – were honeymooning in Cape Town. The couple hired a taxi to take them to a coastal dinner, and then they decided to see the nightlife of the township of Gugulethu, a very poor area outside the city. This proved disastrous. Soon after entering the area, the car was hijacked by two armed men. They terrorised the couple, and eventually pulled Shrien out of the car and drove off with his wife. She was later found dead in the abandoned car shot through the neck. The endemic South African crime was immediately in all the headlines. Whatever the dubious reason for going to a slum area in the middle of the night, it was felt outrageous that a touring couple could be attacked and murdered so easily. Teeth gnashed in the South African and international press. But there was a twist. The taxi driver – as part of a plea bargain – claimed that Shrien had hired him and two thugs for the princely sum of R15 000 (about $2,000) to kill the wife. In other words, the whole hijacking was just a façade to murder Anni Dewani. So it was not the endemic crime that was to blame but rather the evil intent of the new husband who had set up the murder within days of their arrival in South Africa. Gloating over the breakthrough in the case, police commissioner Bheki Cele infamously – and inappropriately – referred to Dewani as “a monkey who came all the way from London to have his wife killed here”. Shrien Dewali denied any wrong-doing, and in the context of the media and police enthusiasm in South Africa, fought an extradition order which was nevertheless finally granted at the end of last year and is now on appeal. The resolution of what happened is still months or perhaps years away. 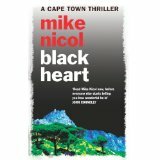 Enter Mike Nicol – well-known journalist and one of South Africa’s most respected mystery writers. 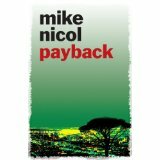 His mystery trio – the Revenge Trilogy, which starts with the emotive Payback – is a fascinating series set in Cape Town, and very highly recommended. Get them all from Amazon as books or in Kindle format. Incidentally, it’s shooting the lights out in Germany. You chose to structure the book as a set of quotes about the case from newspapers and internet reports and comments. What made you choose that format? Two things, really. The first consideration was journalistic. I wanted to see if one could build a non-fiction narrative out of snippets of news from a variety of sources. When I was thinking about this book, I kept coming back to the point that the narrative already existed on the internet but in such widely dispersed places: websites, blogs, Facebook, Twitter. If I could collate material from all these sources could a narrative be constructed? After a bit of experimentation it seemed that it could and on the basis of the first 10000 words Umuzi decided to commission the book. The other constraints were money and time. The deadlines were tight: two months. And there was no money for original research. So I decided that this book had to be written entirely from secondary sources and I had to be able to do it from my laptop. And that is a long explanation for the structure. A combination of necessity and curiosity. However, that said, I did try to structure the story as I would have written it had it been a normal tale of a murder. Start with what happened, go on to describe those involved, dig deeper, record the consequences. 'Set of quotes' makes it sound very dry. Actually, the book flows well and is hard to put down. What issues did you face in order to achieve that? The issues were really about finding the best quotes. I couldn't just accept the first one that came to hand, I had to search further in case there was something better. So a time issue really. Inevitably, in all research I suppose, one afterwards comes across something that you missed but fortunately there were few of these. Or at least I think there were. Your comment about the flow is interesting as the construction of the narrative depends on the reader. You, the reader, have to fill in the linkages and the thing is that readers do. Says something about how we all construct stories even when they are not written out for us. It comes back to the power of the reader's imagination - which is a point I tend to go on about in creative writing classes. The book reveals as much about the different perspectives in the UK and South Africa as it does about the case itself. Was that a deliberate theme or did it just evolve as you compiled the material? It soon became evident that this story was read one way in the UK and another way in SA. Although there is a UK Facebook site - which, incidentally, hates me for capitalising out of this tragedy - that has pilloried Shrien Dewani from the getgo. 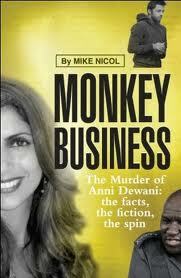 (It's called Anni Dewani - what really happened.) I didn't set out to reflect this divergence of opinion but it soon became part of the pattern of the story and added an extra dimension. Although I was aware of the differences going into the project, I was unaware of the subtleties and so these evolved as the material built up. 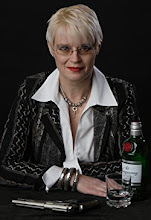 Normally in a 'true crime' book, the author has a view which comes out during the book. In Monkey Business you restricted yourself to an Afterword. Did you find it frustrating to be always bound by what other people had to say? No, actually, it wasn't frustrating at all, well not entirely. My primary motive was journalistic and because all journalism has a subjective element this manifested on this occasion as the structure of the book. Where I put what quote. What it was contrasted with. This was a fascinating part of the process. How to convey a message without stating it blatantly. Also I was very aware that this story has a long way yet to run and wanted to keep my personal take out of the text as much as possible. I really saw the job as being one of recording the murder and the consequences. The full story will only be written after/if he gets to court. When I say not entirely frustrating, I suppose when writing a book one wants to do the writing and here that wasn't going to happen. So I looked on the project as editing a collection of short stories. In other words I was more the editor and compiler than the writer. After all your research into the case, where do you think it will all end? Ah, the sixty-four dollar question! Maybe some questions are the answer here. For the conspiracy theorists: Does the unsolved 2007 hijack murder of Dr Pox Raghavee in the Eastern Cape have anything to do with the Anni Dewani killing? Perhaps not directly, but does it suggest that SA is a place where such murders become part of the background noise? Another question: the SA police claim they have text messages which will nail Dewani. It seems to me that these messages are the essence of this case. Without them the evidence may well be too flimsy - at least technically - to put Dewani behind bars. As for where it will all end: I like to think it will end in a South African court but if the Dewani family has very deep pockets this could still go to the European appeal court. If that happens and a judge decides that SA jails are too risky and that Dewani might be murdered or raped (and become HIV positive), the extradition could be denied. And then, as some cops have suggested, he could disappear into India. SA does have an extradition agreement with India where the rules are slightly different, but will there be the political commitment to continue the pursuit? I doubt it. Michael (Sears & Nicol) - Thursday. Fascinating story and approach to presenting it. Looks like I have some new reading to catch up on. Thanks, guys. This is fascinating, Micheals. Like Jeff, I'll be downloading these books. I don't think you'll be disappointed. Mike's work is top notch! 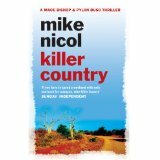 Since Mike Nicol's book is a compendium of quotes (except for the Afterword where he doesn't express an opinion on what actually happened), the 'fiction' is built into the perceptions from both countries. I think that aspect - how we see things from different viewpoints and what prejudices we inevitably have - is one of the most interesting aspects of what he's compiled. I understand that persons closer to the real people involved in the matter will have a very different focus on the matter. No offense is intended to them. I agree - it sounds intriguing. The case got much coverage over here. I do not understand why Mike felt it was necessary to criticise a Facebook site (endorsed by Anni's family) that is campaigning to secure JUSTICE for a wholly innocent woman who was murdered in a cold and brutal fashion. Anni, the deceased, cannot fight to secure justice on her own behalf. So WHY attack a site with an objective of campaigning for it on behalf of the murdered VICTIM. Shrien claims to love her but has done zero to ensure his late wife is afforded the justice she continues to retain a human right to posthumously. 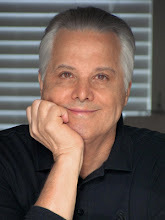 Write your book Mike, but don't overlook the rights of the deceased in the process. It's really quite obvious what happened - i.e. he's a closet homosexual who liked older males (the more politically connected the better) and that he conducted a sham marriage before arranging to have her knocked off. The only question that really should be asked is: "When did he come up with this dastardly plan?" Was it before he met her? Was it before the wedding? Or was it after the wedding but before they got to SA? The whole point of their going to SA (his idea, not hers) was so that he could unfurl his wicked plan to commit tourist crime and have the details swept under the carpet. Was that why he targeted a poor girl from Sweden, rather than someone who lived a bit closer to home?? A Bit of Inspiration, Make that Two Bits.